The Chicago White Sox head to Globe Life Park on Sunday, August 20, 2017 to take on the Texas Rangers. The expected starting pitchers are Miguel Gonzalez for the White Sox and A.J. Griffin for the Rangers. The odds for this matchup have Chicago at +180 and Texas at -192. The White Sox have a 57-57-5 over/under mark and a 63-56-0 run line record. The Rangers are 68-53-0 against the run line and have a 53-65-3 over/under record. The White Sox have a 46-73 overall record this season. Starting pitcher Miguel Gonzalez has a 6-10 record with an earned run average of 4.67 and a WHIP of 1.48. He has 65 strikeouts over his 113.2 innings pitched and he's given up 127 hits. He allows 10.1 hits per 9 innings and he has a FIP of 5.01. The bullpen has an earned run average of 4.13 and they have given up 366 base hits on the year. Teams are hitting .239 against the bullpen and they've struck out 408 hitters and walked 178 batters. As a team, Chicago allows 9 hits per nine innings while striking out 7.9 batters per nine innings. They are 23rd in the league in team earned run average at 4.74. The White Sox pitchers collectively have given up 1,040 base hits and 549 earned runs. They have allowed 178 home runs this season, ranking them 4th in the league. Chicago as a pitching staff has walked 467 batters and struck out 911. They have walked 4 men per 9 innings while striking out 7.9 per 9. They have a team WHIP of 1.44 and their FIP as a unit is 5.09. As a team Chicago is hitting .256, good for 16th in the league. The White Sox hold a .416 team slugging percentage and an on-base percentage of .314, which is good for 24th in baseball. They rank 15th in MLB with 8.7 hits per game. Tim Anderson is hitting .247 with an on-base percentage of .268. He has 106 hits this season in 430 at bats with 41 runs batted in. He has a slugging percentage of .398 and an OPS+ of 76. Jose Abreu is hitting .295 this year and he has an on-base percentage of .346. He has totaled 140 hits and he has driven in 75 men in 474 at bats. His OPS+ is 130 while his slugging percentage is at .521. The White Sox have 1,041 hits, including 186 doubles and 137 home runs. Chicago has walked 297 times so far this season and they have struck out 1,002 times as a unit. They have left 777 men on base and have a team OPS of .730. They score 4.34 runs per contest and have scored a total of 516 runs this year. Texas has a 60-61 overall mark this year. With an earned run average of 5.07, A.J. Griffin has a 6-3 record and a 1.22 WHIP. He has 46 strikeouts over the 55 innings he's pitched. He's also given up 49 hits. He allows 8 hits per nine innings and his FIP stands at 6.05. The bullpen has an earned run average of 4.38 and they have given up 380 base hits on the year. Teams are hitting .258 against the Rangers bullpen. Their relievers have struck out 364 batters and walked 164 opposing hitters. As a team, Texas allows 8.8 hits per nine innings while striking out 7.1 batters per nine innings. They are 15th in the league in team earned run average at 4.43. The Rangers pitchers as a team have surrendered 1,054 base knocks and 529 earned runs this season. They have given up 163 home runs this year, which ranks 10th in Major League Baseball. Texas as a staff has walked 414 hitters and struck out 850 batters. They give up a walk 3.5 times per 9 innings while they strike out 7.1 per 9. Their team WHIP is 1.37 while their FIP as a staff is 4.82. As a team, they are batting .244, good for 27th in the league. The Rangers hold a .436 team slugging percentage and an on-base percentage of .321, which is good for 18th in baseball. They rank 27th in MLB with 8.1 hits per contest. Nomar Mazara comes into this matchup batting .262 with an OBP of .340. He has 107 hits this year along with 82 RBI in 409 AB's. He maintains a slugging percentage of .440 with an OPS+ of 103. Elvis Andrus is hitting .295 this season and he has an OBP of .336. He has collected 142 hits in 481 at bats while driving in 64 runs. He has an OPS+ of 110 and a slugging percentage of .476. The Rangers as a unit have 986 base hits, including 181 doubles and 189 homers. Texas has walked 409 times this year and they have struck out on 1,102 occasions. They have had 743 men left on base and have an OPS of .757. They have scored 5.03 runs per game and totaled 609 runs this season. 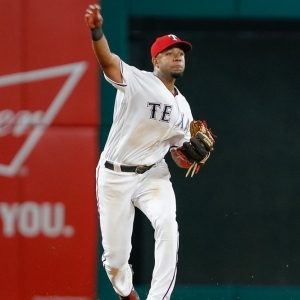 Who will win tonight's White Sox/Rangers MLB game against the spread?